If you are a real foodie, a holiday spent in Phuket can suit you perfectly. This place is a home to leading local restaurants serving delicious real and local foods at prices that you can afford. If you want a cheap Phuket holiday dine in these cheap but quality restaurants serving delicious Thai and Phuket Cuisine. 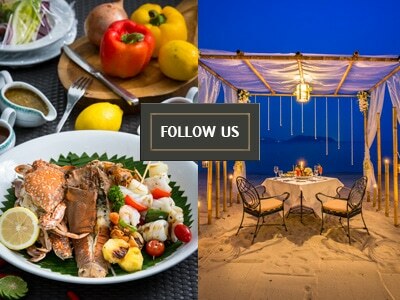 These Phuket restaurants are perfect venues where locals and even tourists can go and enjoy great tasting food. This gloried food shack nestled on a road side is known for its affordable yet delicious crab fried rice and chicken stew. You will also love the noodle soup and the fried noodles here. This restaurant also serves flavorful pat tai, sweet and spicy packed with peanuts, egg, and tofu and then plated side of fresh spring onions; lime and beansprouts. Do not also miss the homemade chili sauces. With baskets that overflow with fresh green vegetables, the NC Restaurant is actually one of the cheapest yet most ideal spots for great tasting khanom jeen. This restaurant also serves bakery items and Hokkien noodles. If you want delicious yet affordable lunch, their top indoor floor serves massaman curry. This is something you should try and should not miss during your Phuket holiday. Many backpackers are probably familiar with this place; however, there are still many shops around Phuket that usually serve roti pancakes in real local style. You can also order fried dough that is often served with sweet chocolate, banana or condensed milk. Some also prefer the delicious yet affordable lamb or beef curry for more flavorful meal with some spice. This restaurant located along the Phuket road offer the fines dry noodles. In this restaurant, you can also grab some delicious satay chicken to better complement your noodles. Dim sum is another cheap yet tasty dish that feeds the hungry crowd all over Phuket, especially those looking for a sumptuous breakfast. Steamed pork, seafood, vegetables and eggs are also served. All these are tasty enough to make you feel full and satisfied. There are also bottles of very spicy yet quality red sauce as well as soy offered to add some flavor. Chicken rice or Khao mun gai seems like a simple yet tasty meal served at various places but onl few places serve this meal right. So if you are craving for khao mun gai in Phuket, there is definitely one best place to go and that is in Kota Khao Mun Gai. Your Phuket holiday will never be complete if you don’t get to taste some of the most delicious foods that the place can offer. You do not really have to spend that much on meals and snacks for there are a lot of cheap eats but quality restaurants in Phuket that you can try.